Two top SHC leaders shared the stage with other national female healthcare leaders during the American Conference Institute’s ‘Women Leaders in Healthcare Law’ conference for 2015. Vice presidents Lynn Fieldhouse (Litigation Services) and Cheri Glass (Talent Acquisition and Human Resources) traveled to Washington, D.C. to participate in the conference. 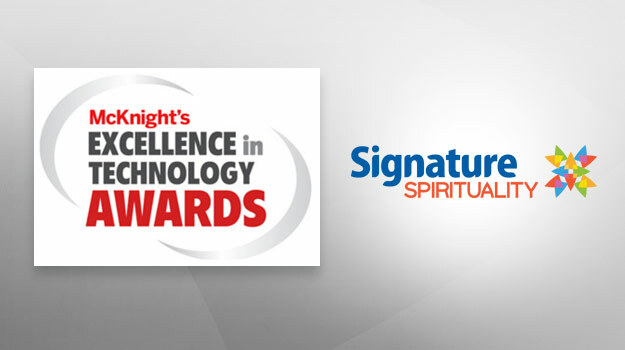 Signature HealthCARE was recognized not once, but twice by McKnight’s Long-Term Care News during its ‘Excellence in Technology Awards’ program for 2015. Signature Spirituality was honored for its use of ‘STracker’ (Spirituality Tracker), a system that monitors and tracks chaplain encounters with residents. Meanwhile, Signature HealthCARE of Fentress County and SHC affiliateYourDOC2U (formerly ReadyMD ) were recognized for their use of telehealth technology to expand access and enhance resident care. Some 425 Signature residents, staff and volunteers, as well as other community members, were recognized during Signature’s 2015 Hall of Fame event.